Start of the year was a nice introduction to the gourmet season in Dubrovnik. Few days ago Dubrovnik restaurants were listed in the prestigious Michelin guidebook which is considered to be the Bible of gastronomy. Eleven restaurants got recommendations and the Restaurant 360° won the first Michelin star in Dubrovnik. We are finally able to tell our guests during the food tours that we have Michelin awarded restaurant as many of them are loking for the exceptional gourmet experience. It is not just award to the restaurant but in such a small city it is prize for the destination. Being part of such respectable society means that we have something authentic to offer to our guests. But, is it really true? The gastronomic choice on offer in many restaurants is still very touristy, using the ingredients which are sometimes not so fresh, prepared in a quick way,trying to earn as much as possible in a still short season. 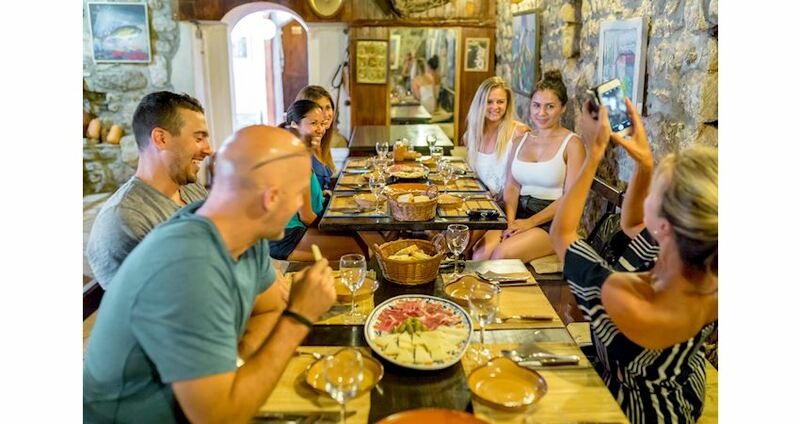 Do we have our signature dish or do we know for the meaning of true Dubrovnik cuisine? We would like to taste more ˝pašticada˝ ( slow cooked beef in a red tomato sauce served with homemade gnocchi) instead of pork medallions, more ˝šporki makaruli˝ ( the dish made of meat and pasta) instead of ˝spaghetti bolognes˝,˝ chickpeas soup˝ instead of ˝ceaser salad˝, codfish made in a traditional way instead of sea bass fillet,˝ prikle˝ ( little doughnuts) instead of ˝American cheesecake˝, ˝Ston cake˝ ( dessert made of macaroni pasta and walnuts) instead of famous ˝souffle˝.....and so many other dishes that Dubrovnik people were creating and eating through the centuries. Sometimes we feel we are lost in translation with the local food offerings eventhough we have all these necessary preconditions for providing the most unique local dishes. We are fortunate to have mild climate, fertile and unpolluted soil ideal for growing fruits and vegetables, abundance of fish and shellfish from the crystal clear sea, free range farms, best local wines, fantastic olive oil so you don't need to be a magician to create something special. The finest international chefs who visited Croatia are blown away with the quality of ingredients we have and the only advice they've given is to stop complicating and to let the food speak for itself. After years of purees, mikros,foams, beds and covers, mousses, cheviches, essences, deconstructed and reconstructed meals it is very ˝posh˝ to eat ˝grandma's stew˝ and you know what: We love this trend!